McFly stars Tom Fletcher and Dougie Poynter are set to release two more of their Dinsoaur That Pooped books. 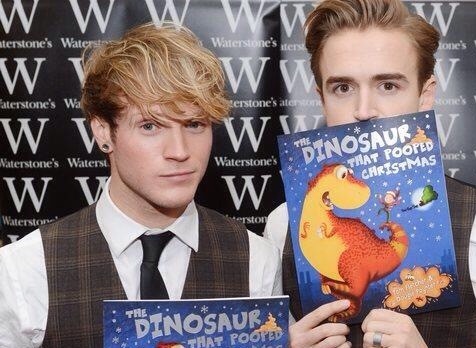 Tom Fletcher and Dougie Poynter from McBusted will be out and about this week signing copies of their children’s book. The duo will be at Waterstones in Bluewater on December 16 and at the Reading store on December 18. They’re promoting their book The Dinosaur That Pooped Christmas. Lovely!